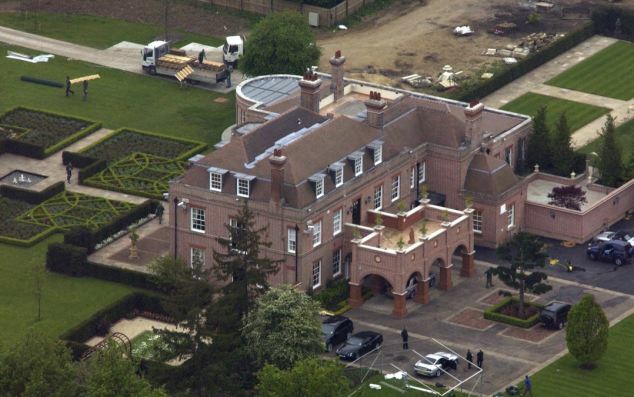 Beckingham Palace goes up for Sale! It is a £10 million mansion they have made their own, adding a recording studio, helipad and indoor and outdoor swimming pools. 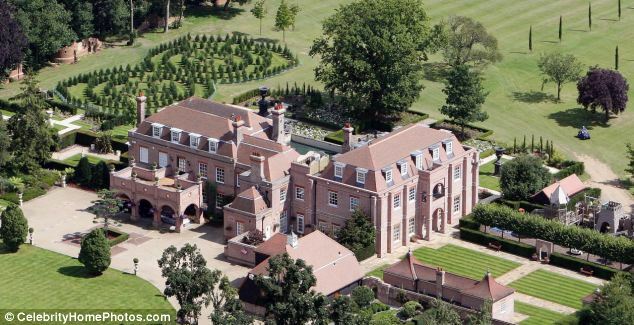 But now David and Victoria Beckham are to sell their Hertfordshire home, nicknamed Beckingham Palace, after 14 years as they seek a more cosmopolitan life in London. The stars, however, don’t want just anyone moving in. They are keen to ensure the home goes to a family, telling estate agents they only want to sell to a private buyer, not to a developer who might split the property – called Rowneybury House – into luxury apartments. A source close to the family said David, 37, and Victoria, 38, didn’t want builders to cash in on their name, explaining: ‘They know there aren’t lots of individuals looking for houses of this size, and developers would jump at the chance to turn it into smaller flats, which would have added value because of the Beckham connection. Ironically, the couple bought the house – a former council-run children’s home – and its 22-acre grounds from a property developer, Richard Maher, in 1999, when they paid £2.5 million. Their additions include a snooker room, a gym and floodlit tennis courts. But since the family moved back to Britain in January – after David left Los Angeles Galaxy to join French side Paris Saint-Germain – they have been spending most of their time in a rented £20 million house in Kensington. It is relatively close to the head office of Victoria’s fashion business in Battersea and the exclusive designer boutiques of Bond Street – and even before they took over the high-security property, the couple tended to stay in hotels such as The Savoy when working in London, rather than make the one-hour trip to Hertfordshire. They are now hoping to buy a family home in Kensington or Mayfair. The couple’s sons, Brooklyn, 13, and Romeo, ten, lived at Rowneybury after they were born and the family kept it on as their British base after David was signed to Real Madrid in 2003. The Beckhams – who also have a seven-year-old son, Cruz, and 20-month-old daughter, Harper – are believed to be keeping their £11 million Beverly Hills home for breaks during the school holidays. They are celebrating Easter there.